Shot In The Dark: Oh no! You've come down with a case of having a gun to your head! The treatment is really expensive! Oh no! You've come down with a case of having a gun to your head! 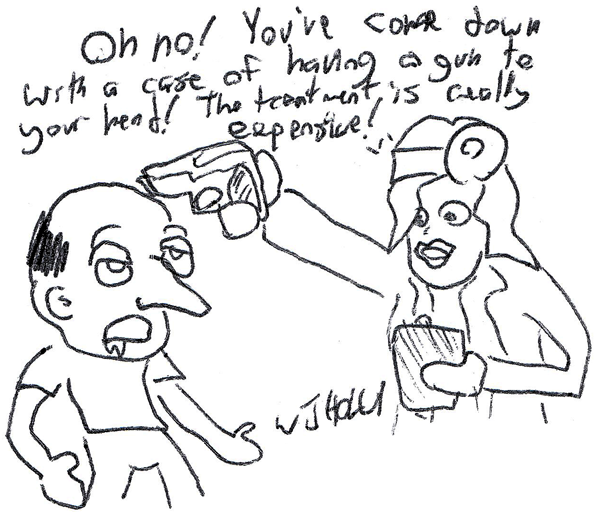 The treatment is really expensive!